First off, for those unaware, this is a game I’ve anticipated since it was first announced because of one thing: the Persona Team was creating it. This is the first HD title that my favorite RPG developer has created, and let me tell you… it is almost exactly what you’d expect from them. 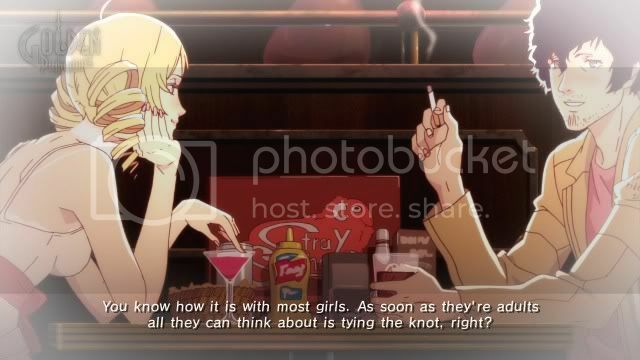 If you’ve played any of the recent Persona games, and you knew NOTHING about Catherine going into it… you’d be able to tell this were from the same creators within the first hour. Oh, and I forgot to mention that the animated cut-scenes are done by Studio 4°C (see above image). So, is all this a good thing? 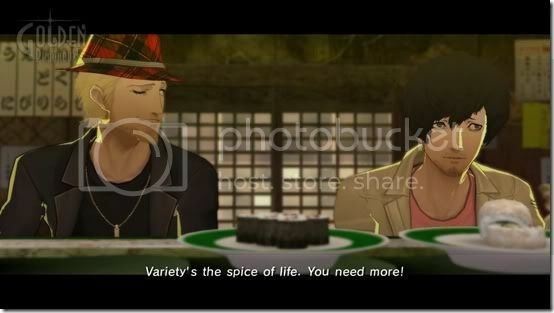 While Catherine is exponentially different in the “dungeon crawling” section compared to the team’s other games, as well as the social interactions (Persona is a bit more in-depth), the format in which the game plays out is almost exactly the same. It’s broken up into the day (in which you just watch story, talk with people, figure out what’s going on. You can check your phone for texts, get calls, play Rapunzel, change the music, etc) and the night (though it’s just called the Nightmare. This is when you do the “Q*bert” game play, though it’s much more extensive than that). The game’s story is as original as they come. “Jason, it’s a guy that is cheating on his girlfriend. How is that original?” How many other games have you played recently that put you in the place of a man trying to figure out what is going on with his life (which doesn’t require saving the world), battling against his inner demons, and making a life changing choice while there are mysterious deaths happening around town? Not many. And might I say, in addition to it doing a really amazing job of showcasing the realism in the situation he is in, the dramatic “anime” influences add humor and even more realism to how it would truly feel in his shoes. While I would laugh at parts, I would be worried at the same time. 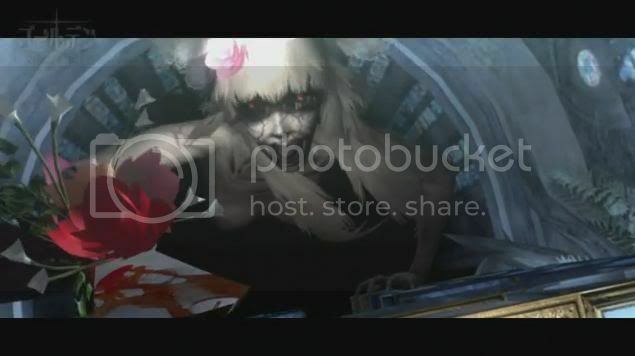 Oh, and also… if you’ve ever played a Persona game, bear in mind the plot follows the same type of format as well. If you don’t know what that means, you’re in for a treat. “Okay, we get it. The story is cool. How is that dumb block part?” This is really where the game is, and where it greatly differs from the team’s previous works. There are no demons you can conjure, there are no “battles,” per se… It’s just a puzzle game that gets progressively more difficult with all the elements that are introduced. For instance, there are ice blocks that make you slide, heavy blocks that take much longer to move than standard, bomb blocks that make the surrounding blocks into fragile ones that crumble after stepping on them, monster (troll) blocks that have mouthes and knock you off of them or move as you fall to your death trying to get on one… you get the idea. There are definitely some levels that are harder than others (I found Nightmare Six to be much harder than Seven. And Nine is just Trollzilla), but none of them are impossible. Much like Demon’s Souls, the game takes patience. Sometimes the boss levels randomly make it impossible to get past a certain part, so you just have to retry. But it’s never too bad… Unless you are going for the gold medal, in which case my figurative hat is off to you. I got golds on the first two nightmares, and will try to get the rest, but geez… you have to be flawless – and that’s damn near impossible on some of the bosses. Oh, and I forgot to mention the scale that is moved one way or another based on decisions you make in the game. While I won’t ruin what it stands for, I can say it’s not “good/bad.” This scale determines what Vincent says in certain parts of the story, it helps decide what ending you get in the game, and overall shows what kind of person you are. 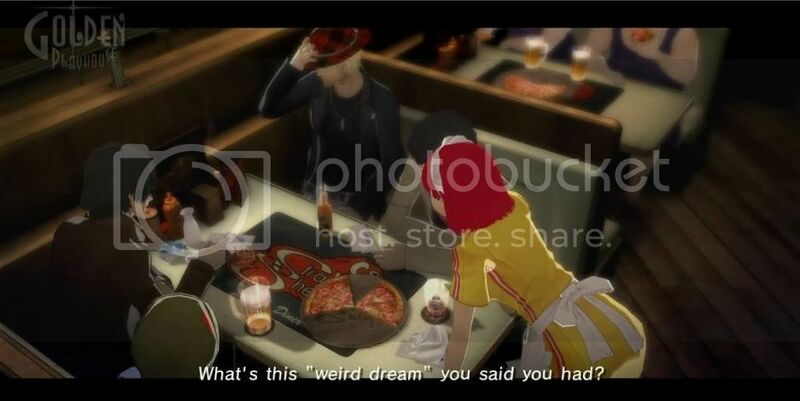 The game is yet another masterpiece (sure, it has flaws – more of what they omitted from the game… but I can easily overlook them) from Atlus’ Persona Team. If you like challenges, puzzles, and a great story, look no further. BUY this game right now! If not, you can always rent it. But with all the extra puzzles, medals, and seven more endings to get… I’ve got my hands full for a while, and I’m perfectly content with that. It’s everything I hoped for and more.